I hope, you have a wonderful day! Today's card is a must see card :-) I love the cute images from My Favorite Things and Create a Smile. When I saw the two stamp sets, I immediately knew, I want to have them both on one card. They just go perfectly together. 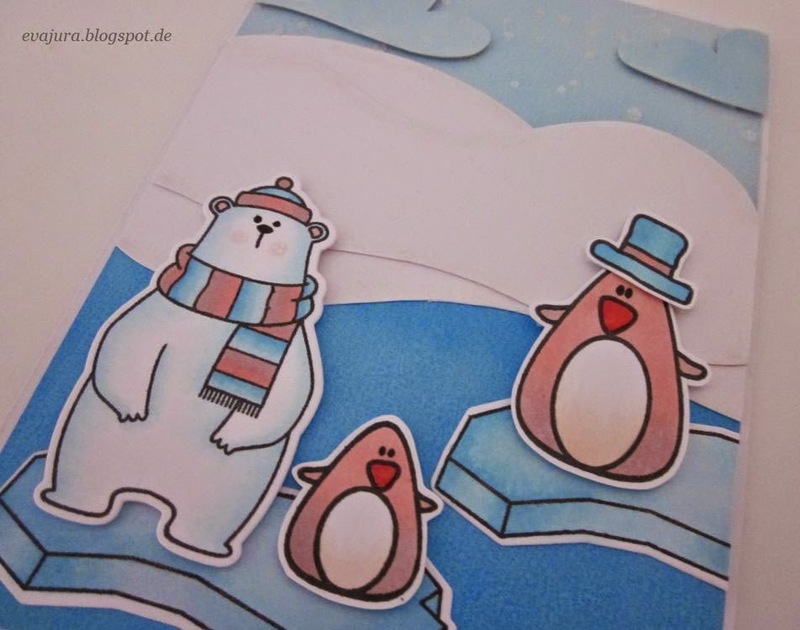 These adorable penguins are from Create a Smile - Cool Buddies Stamp Set, and the cute polar bear and the ice floe are from My Favorite Things - Cool Day Stamp Set. I stamped the images with Memento Tuxedo black ink and colored them with Copic Markers. 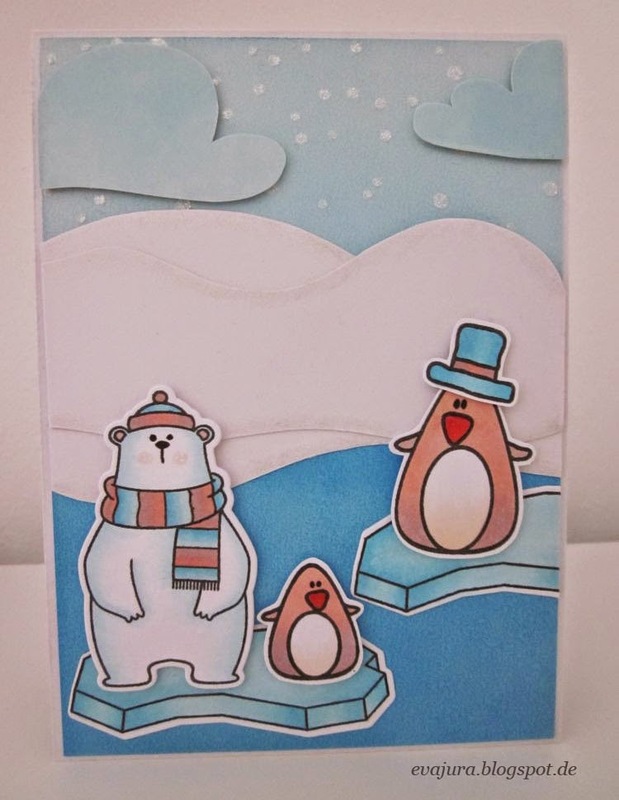 The Cool Day Stamp Set has a coordinating dies that I used to cut the polar bear and the ice floe. 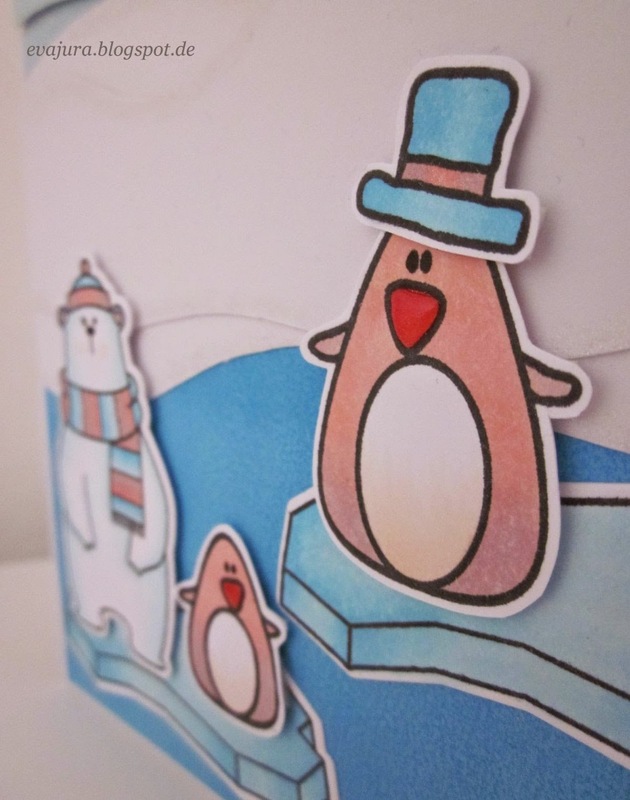 The company Create a Smile doesn't have any dies yet, so I fuzzy cut the penguins with my scissors. The images don't have any difficult shapes, so it was a peace of cake to fuzzy cut them. 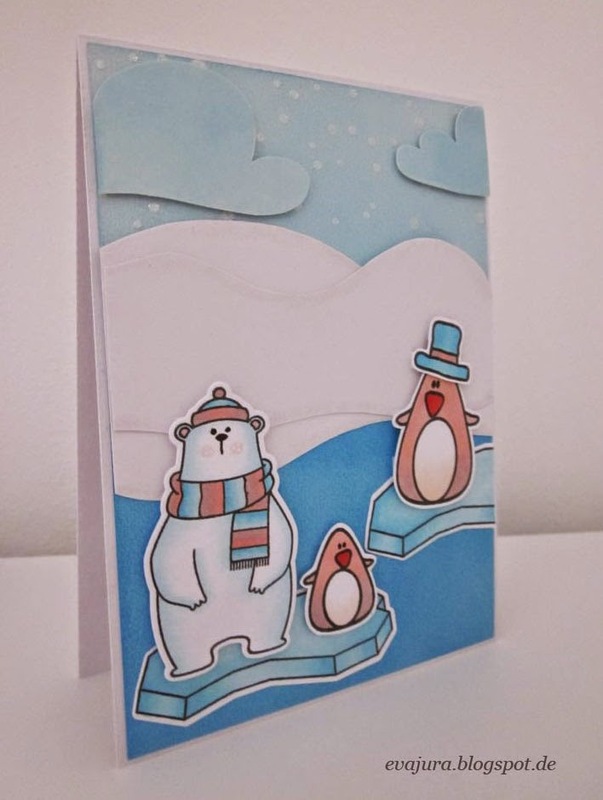 I let a white border around the penguins, because I wanted them to match with the bear. I cut with my scissors also a snowy scene from a white card stock. The clouds that you can see at the background are made by using a Clouds Stencil from Create a Smile. I colored them with my Distress Inks and fuzzy cut them. The snowflakes that are falling from the sky were create with the Falling Snow Stencil from Simon Says Stamp. I used a Texturez paste from Shimmerz. They have great products, but the shipping conditions for international customers aren't a good one. I could not resist to use the Wink of Stella brush on some parts at the images and also on the snowy scene. 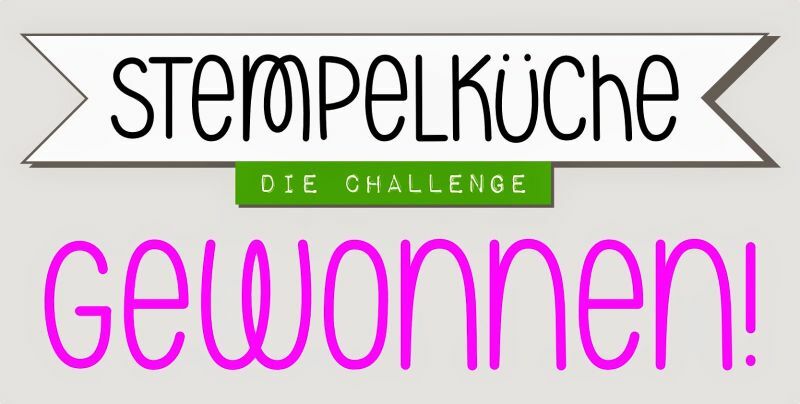 Enjoy the card and don't forget to leave me a comment. I love to read them. Love the colour scheme you used, this is such a funny scene!